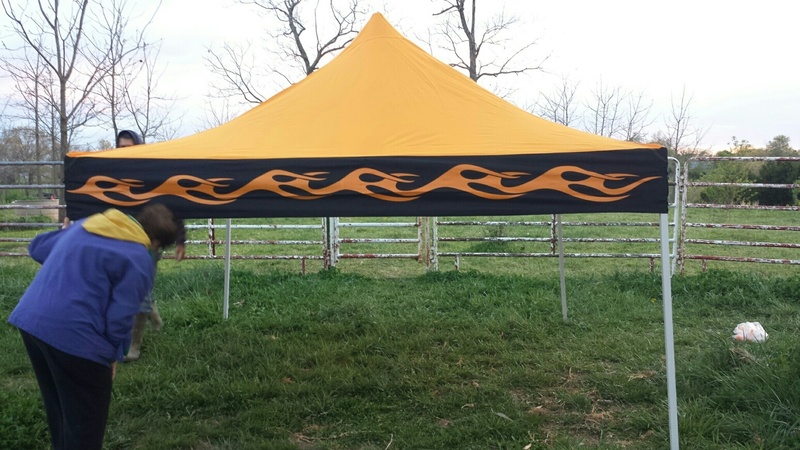 We have found a perfect new pop-up tent for the farmers market. not only was it priced affordably, it is styled to our liking. Burnin’ R Farms will be well represented this summer. 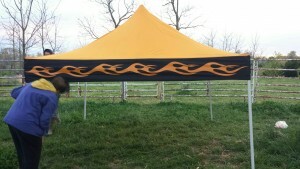 I love the flames on the tent. It fits in well with our brand. We had to add a new freezer and coolers to our equipment list to be able to properly hold the meat we will be selling. 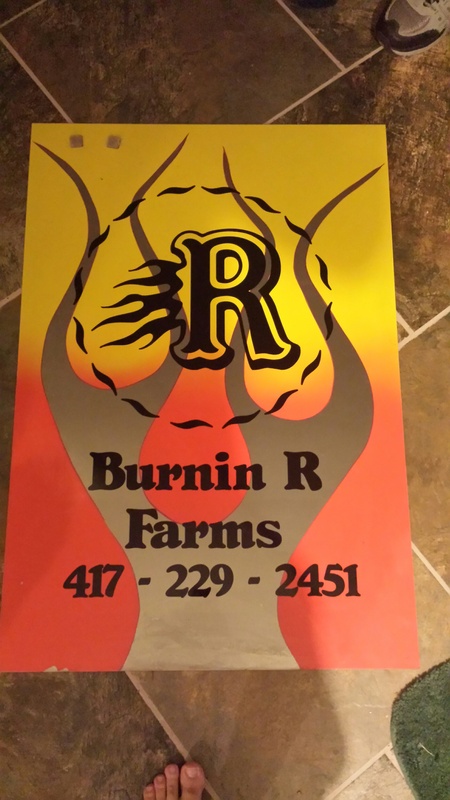 We are also in the process of adding new T-shirts with logos and other branded farm items. 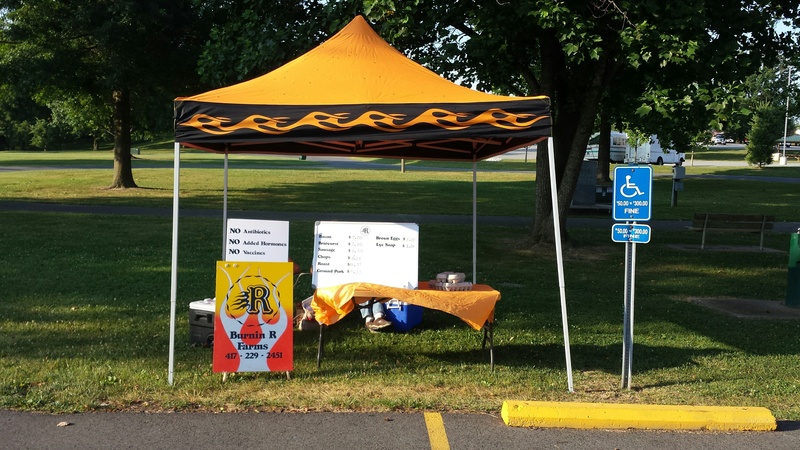 Look for us at the Monett, MO farmers markets on Saturdays this summer! We will have pasture raised Ossabaw Island pork by the cut, farm fresh eggs, lye soap, and any extra vegetables that we can bring. Plus, as soon as we can, we will have gourmet mushroom to add to the list. Shiitake, Lion’s mane, and several Oyster mushroom are in various stages of growth and will be available soon.